There are, of course, always several stressors when it comes to furnishing a new home or re-doing your beloved existing space. From a material point of view, the new tariffs on Canadian soft-wood lumber are not only pricing many Americans out of the housing market, but also out of many wooden goods common to household use, such as furniture. Price-point aside, simply choosing the most aesthetically grounded and versatile pieces for your home can be a struggle, if not a somewhat satisfying one at times. It is also typical that the most commonly used pieces in your home (like that unique bar stool you’ve been dreaming of) will be the ones you dote on and worry over the most when purchasing: this goes for pretty much anything used in the kitchen or the bedroom, since these are the two most frequently enjoyed spaces in your home. The kitchen, in particular, allows for some especially creative alternatives when it comes to furnishing options: tables, cabinetry, and seating can all be brought beyond the quotidian with the right touch. Take, for example, a unique bar stool. Although sometimes overlooked in planning a kitchen or patio dining space, unique bar stools present a fun opportunity to make the most of your space. Say your house or apartment lacks the space to establish a full dining room, and you’d like to avoid the clutter that a kitchen table often offers—a bar stool at your island or countertop is a creative alternative. 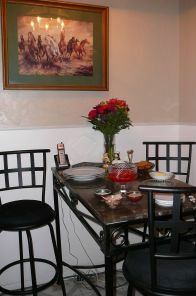 If you plan to use food-prep or decoration space as an eating surface, however, make sure that your seating is up to snuff; despite the fact that the bar stool style was originally deployed to dissuade customers from lingering too long at the bar, contemporary custom options are a species of seating altogether more comfortable. That said, make sure that the dimensions of your bar stools are unique to your eating surface: this generally means selecting a seat height that’s between 24’’ and 26”, while that of a conventional dining chair’s seat is only 18”. Enjoying one of many unique bar stool options means having a piece of furniture that leaves room in its design for you, the consumer. Look for pieces that come from vendors who allow for customizable builds. Or, if you don’t necessarily want to go the made-to-order route, you can look for a neutral, earth-tone set that has an attachable cushion option; the color and design of the cushion, paired with the natural neutrality of the stool’s tones will lend more opportunity for you, the owner, to flex your own creative muscles. Lastly, given the tariff situation discussed above (not to mention seemingly all the time in the news), homeowners currently have a great opportunity to look outside the box for furniture and designs that are not co-extensive with the typical production methods and production avenues. Nothing makes for a more singular piece of furniture, let alone a unique bar stool, than re-claimed wood from the likes of barns or other furniture. The current economic situation also provides a welcome chance to source out goods produced and inspired by our local businesses. In the end, it’s easy to enjoy a get-together or family meal tonight, tomorrow, or today with unique design options made the right way. If you are looking into redecorating your house this season, then you may be looking for ideas for your home. An increasingly popular addition to homes is the kitchen island or breakfast bar, or the addition of a drinks bar into your den or another room in which you entertain guests. What all great bars need in a home is a good seating option that is comfortable for you and your guests, and stools are the best solution. You can get stools in any design and style, from short bar stools to tall ones, or from cushioned seats to seats made from various materials. There are a vast selection of bar stool designs available for your home these days. If you are expecting your guests to be sitting for long durations while on your stools, you may want to consider using a stool with a tall back, or possibly with cushions. For a drinks bar in an entertainment room where you or your guests will be just sitting down for a short while to enjoy a refreshing beverage, you could go for short bar stools with no back that can be easy to get out of the way when needed and easy to store. When getting stools for a kitchen island, it’s often recommended that you get a tall stool so that you can have nice access to the surface top, whether you are eating at it or working. 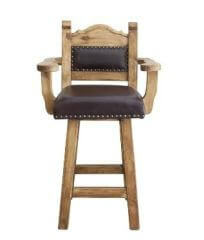 You can even get more elaborate stools that include arm rests for a more regal look in your bar area. Matching your stools to your decor is easy to do with all the options that are available to you. You are going to want to create a mood in each room in your house that is personalized to you or your family; that will accent the memories that you are going to create in those living spaces. Whether you choose short bar stools or tall, cushioned or bare, you’re going to want to choose something that you enjoy looking at day in and day out—and that you’ll want to show off to your family and friends when you are entertaining. Remember: when choosing a design, take into account the decor of the whole room so that you can create an environment you can be proud of. It doesn’t matter if you are choosing short bar stools, tall, with a back, or not, you are going to have a selection of materials to choose from when you pick out your own bar stools. Bar stools come in a variety of solid materials, from cheap plastic to sleek, and from modern and industrial metal to old fashioned classic or rustic wood. From there, you can also select the material accents you want: do you want cloth cushion or leather? Maybe you want a leather cushion on the bottom and back, or just back support, or neither. Whatever your personal preference, you can find the bar stool you are looking for. You can always choose to go with designs that are already made and stools that are already built, but if you are looking for that extra touch for your short bar stools (or whatever design you choose), custom built is going to give you the most flexibility. It may take longer than just picking up a stool from the store, but you are going to find that you can get the best quality and the most satisfaction with your renovation when buying custom built stools from professionals like Fox Den Decor. Bar stools are an excellent addition to almost any home. Not only do they give your family and friends a more casual place to relax, but they also can add an extra bit of style to your kitchen or living space. And while many people are buying metal bar stools, there has been a recent resurgence in the popularity of wooden bar stools. Home owners are increasingly looking at wooden bar stools for their homes—not simply because the stools look great, but also because they have some added benefits over non-wooden stools. Here are just a few reasons why you should consider wooden bar stools for your home. While there has been an influx in chrome and plastic bar stools, they often only look good in specific decor set ups. Mostly, they work well in modern designs, where there is already a lot of black and chrome. But wooden bar stools can fit into almost any look. From rustic stools to beautifully painted ones, you can find a wooden bar stool that fits into your space and complements your decor choices. While many people think the plastic and metal bar stools will better stand the test of time, a well-constructed wooden bar stool can stand up to almost anything. While plastic can bend and warp, wooden bar stools are built to last, meaning your next purchase could last for years to come. Whether you’re starting your day at the counter with a cup of coffee or having a drink at the end of the day, bar stools add a certain casual, relaxed feel to your home. Wooden bar stools can do this with their warm, inviting feel. They are also easier to upholster and can be easily padded for extra comfort, meaning that you won’t be uncomfortable when you’re reading the paper at your breakfast bar. One of the benefits of wooden bar stools from Fox Den Decor is their customization. Unlike pre-made bar stools, our wooden bar stools are made to your specifications and expectations. You are in control of everything, from the size to the color and kind of wood used. You can also choose from our many stools that have already been crafted by our talented artisans. By choosing a Fox Den Decor wooden bar stool, you can have an authentically rustic stool that will elevate your home’s decor, and you can control its look so it can fit right in. Plus, each is made by hand, so it is a truly unique piece that no one else can ever replicate. Wooden bar stools are sturdy, stylish, and they can elevate the look of almost any room. Besides giving you and your guests an extra place to relax, a well-made wooden bar stool can be enjoyed for years to come. If you are looking for quality wooden bar stools, Fox Den Decor has a wide range of styles, makes, and colors that are sure to fit into your home decor choices. Bar stools are a great alternative to traditional dining areas, especially if you are trying to maximize your space or live in a smaller space. Bar stools can be casual and informal, but also elegant and elevated, depending on the style of your space. We’ve compiled a guide to help you find the best black bar stool for your space – no matter the size! The most important style factor that you will have to decide on is back or no back. A backless black bar stool will give your space a cleaner and sleeker look, and it will make your room appear larger. This is great if you have a smaller space and are trying to create a grander illusion. Keep in mind that backless bar stools automatically give off an uncomfortable appearance. Consider who else will be using the stools – children, elderly people, or people with physical disabilities. While backless stools are minimalistic, most adults may not want to sit on them for very long, and children can easily get hurt if they lean backwards without thinking. Once you have tackled this debate, there are a few more style aspects to consider. Do you want an adjustable stool? A swivel stool? Round or square? Arms or no arms? And don’t forget about the footrest! The decor of your kitchen will also dictate the style of your black bar stool. 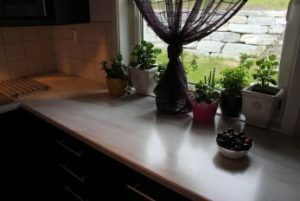 You don’t want anything to clash with your countertop, but luckily, there are endless options that can easily be incorporated into your space. Brushed stainless steel adds a modern and sophisticated touch to a space. Mixing materials can easily create a laid-back, yet comfortable and warm, atmosphere. Walnut or chrome bar stools with black accents is very popular with the emergence of mid-century decor, but they can also fit in well with a rustic urban look. Finding the right stool for your kitchen is a lot easier once you have determined what features you want in a bar stool. Before you start shopping, make sure you measure the height of the surface you are shopping for. Then measure it again…and again! Remember to keep 9 – 12 inches between the seat of your black bar stool and the bottom of the counter. This will ensure that there is enough comfortable leg space for you, your family, and your guests. Traditional bar stools measure 30 inches. When deciding how many black bar stools you should buy for your counter space, it is best to stick to the general rule of thumb: allow 26 to 30 inches between the centers of each barstool, or one stool per 2 – 2 1/2 feet. This rule ensures that everyone sitting at the counter has enough room to be comfortable and to enjoy themselves. Avoid having your space look crowded by allowing 15 inches from the outer bar stool to the end of the counter. You want your black bar stools to stand the test of time and accommodate a range of people – regardless of height or weight. Bar stools that feature brackets and scratch-resistant finishes are more durable than those that don’t. With chairs, you get what you pay for, so if you don’t plan on replacing them often, put some time and effort into your search. Reclaimed wood is one of the most popular ways to improve a home’s decor. Not only are these pieces usually made by hand by skilled artisans, but the wood itself is often exceptionally beautiful and can make a huge impact on the decor of any room. When it comes to vanities, there is nothing more commanding and beautiful than a custom reclaimed wood vanity, the perfect piece to set your home’s decor apart. If you are looking for a beautiful piece that will set your home’s decor apart, you should look into reclaimed wood vanities by Fox Den Decor. Here are just a few reasons why they are so popular. The customization of our reclaimed wood vanities is practically unparalleled, especially compared to what you can find in your average furniture store. We pride ourselves in letting you select everything you want, and then handing your specification over to our talented furniture makers who craft incredible pieces. Everything from color, size, and even our sink style is completely under your control, meaning you can create something that fits perfectly into your home. Whether you want an imposing double vanity that’s extra functional for you and your partner, or a functional-yet-funky piece that will fit into a smaller space, everything is up to you. The main thing that sets our reclaimed wood vanities apart from anyone else’s is our team of incredibly talented and dedicated furniture makers. This group of artists has been making furniture from reclaimed wood for years now, all using materials sourced around their studio. The pieces they produce are custom made by hand to each and every order, meaning that no two pieces are alike, and every single one is truly unique. No carbon copy, cookie cutter vanities, just beautiful pieces made with care and precision, all for you and delivered right to your door. 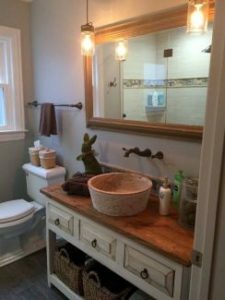 When you buy a custom reclaimed wood vanity, you not only get a beautiful piece made to your specifications, but you also get a piece that is both functional and fashionable, combining great looks with usability. For vanities, storage and size are key. Too big or small and it will look strange in the space. Not enough storage and your bathroom will be in disarray. That is why all of our pieces are easily made with plenty of storage space and to the dimensions you need, maximizing its usefulness while still looking unbelievable. Instead of getting a piece that just looks good, our vanities also help you keep your spaces organized. Fox Den Decor has incredible, customizable vanities made from reclaimed wood that let you be in charge of everything, including size, shape, sink style, color, and more. Every piece is made by hand in our furniture studio by gifted furniture makers and sent to you directly. The result is an incredible, truly unique piece that will elevate your home’s decor. Visit Fox Den Decor today to start crafting your ideal reclaimed wood vanity that meets your specifications and exceeds your expectations. Rustic Decor has made a huge comeback in the decorating world. What was once considered only appropriate for farmlands and country homes has made its way into the urban decorating scene. The warm colors and casual look create a soft and inviting atmosphere. This welcomed feeling is becoming more preferred, leaving the crisp and contemporary look for offices and business establishments. An original homestead, with a rustic look, originated from necessity. As wood and natural materials were economic and easy to acquire, homesteads used them for both furnishing and function. As technology evolved, so did building resources. Both styles and supplies changed with more modern times. It became easier to mass produce furniture at cheaper prices. However, the tradeoff for lower cost furniture was lower quality. Dining and bedroom sets that were once family heirlooms now became a household expense that needed replacing every few years. Sophisticated designs became the standard look in both home and offices around the continent. As always, styles take dramatic turns: designers began to bring back the welcoming look of rustic decorations and furniture, reintroducing the softer side of homes. However, the new difference was pricey. What used to be an economical way to decorate became a style that only the urban elite could afford. The focus has now turned to ways to decorate and enhance, while still staying within a budget. Bathrooms are one of those rooms with endless possibilities. It is one of the most used rooms in a home, requiring high function but still emanating a relaxing feel. It is a room that people run in and out of as much as they love to relax in. It endures moments of high humidity along with wide variations of temperatures. This room needs functional furniture that can withstand elements, high traffic, and time. Rustic vanities are a fantastic look for bathrooms. The importance however, is in the material. At Fox Den Décor, we build our vanities to order using reclaimed wood. This wood has already withstood the elements. It will not shrink or warp in humidity or under pressure. The wood has already gone through its curing process, naturally. As our wood comes from previous structures, such as barns and homesteads, no two vanities are ever exactly the same. By changing your bathroom vanity to one with a rustic look, you instantly transform the feel of your bathroom. This single furniture replacement can be embellished with economical wall hangings and counter top décor, creating a completely new bathroom without having to paint a single wall. While our vanity will cost more than a mass-produced counterpart, it is built with the idea that you will never need to replace it. This single change is all you need to enhance both the look and feel of your bathroom. Rustic decor does not need to be a full home-decorating transformation. It can start with a single piece of furniture, accented by complementing decorations. Bathrooms are one of the most used and most demanding rooms in your home. Create an inviting and warm feel. Create a room that is welcoming to relax in. A rustic bathroom is a timeless look, a true classic that will never go out of style. It is as simple as a new vanity, created from true rustic wood. This is all you need to create a brand new room in your home. Are you renovating your home and worried that your budget isn’t enough for the project? This is a common reason why homeowners don’t renovate their living spaces, along with the hassle of living in disarray for weeks. It’s probably quite difficult to imagine how it will look when it’s finished at this point. Another concern you might have is how you’re going to redecorate after the renovation is completed—and if you can even afford to make any changes to the decor. Since the renovation is expensive to begin with, you might be worried that the contractor will go over budget as well. In this post, we hope to put your mind to rest. A slight tweak in furniture may be all that’s required. You don’t need to do a major overhaul with your decor. 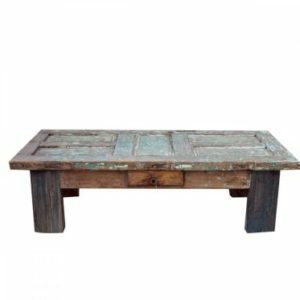 A rustic coffee table could be the best addition to your house during the renovation, if you lean toward the rustic look. When you think of rustic, you picture the earthy, vibrant, yet relaxing outdoors. You can feel like you’re sitting out in the country side, even if you live in a city. It’s super easy to bring the great outdoors to you by introducing a rustic theme into your home—without having to sacrifice modern sensibilities. If you want to enhance a room with more than furniture, this is also possible without breaking the bank. Something as simple as rough hewn beams can create a remarkable rustic style. To create a simple rustic style while you’re renovating, you should choose a color palette with warm and natural colors – greens, brown, and tans. These colors create a cozy and warm setting for your home. Earth and neutral tones are also an ideal choice. When choosing furniture, pick pieces that give your home a natural, yet antique look. Don’t worry; you don’t have to replace all your furniture to get a rustic look. As we mentioned earlier, you can pick the ideal rustic coffee table and select other accessories to set the mood. You should never underestimate the power of a rustic coffee table. Although most assume a coffee table’s only purpose is for holding magazines or kid’s toys and floral pieces, and while some people think they’re as good as an ottoman: a place to put their feet, it’s also a perfect place for the family to gather around and enjoy by the fireplace or with a coffee on a chilly day. A coffee table is also commonly a main centerpiece in a room. If you’re renovating and want to save money on your home décor, consider enhancing a room in your home with a rustic coffee table. It can be the best addition to your house during renovation. At Foxden Decor, we specialize in home decor. To see our vast selection of beautiful and elegant rustic coffee tables, you can visit our website. The best way to make your bedroom looks inviting and lived in is to invest in a beautiful piece of rustic furniture. There is nothing quite like a rustic dresser to take your living space from a house to a home. Available in many different finishes and styles, you are sure to find a dresser to fit your own personal style at FoxDen Décor. Why Choose Rustic Furniture from FoxDen Décor? Rustic furniture has a charm and a personality all its own. Every scrape of missing paint and each dent tells a story. This is why rustic furniture frequently becomes a conversation starter at dinner parties and other special events! Your bedroom deserves a stand-out piece of stylish storage that will last you for years to come. Rustic furniture is stronger and more sturdy than many furniture products on the market, simply due to the time and care that it takes to create these pieces. Rustic accent pieces make a strong statement in a room, so don’t fret if this is your first time looking into rustic furniture! Rustic pieces, like the ones available through FoxDen Décor, can stand alone or blend easily with the rustic furniture that you already have. Either way, you will be happy that you’ve invested in high-quality furniture for your home. Many of our pieces are handcrafted and lightly buffed by our skilled artisans in Mexico. If you are looking for the perfect addition to your bedroom, you have come to the right place! Although a dresser is largely a functional piece of furniture, it can still be a stylish addition to your room. Functionality does not negate beauty! 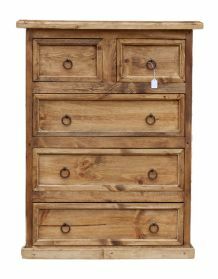 Our gorgeous Pine Dresser, available at FoxDen Décor, combines both form and function to bring you a piece of furniture that is sure to become an important part of your room. The best part is, if the Pine Dresser shown on our website doesn’t quite suit your style, you can change it up in any way you wish! The pieces that are available through FoxDen Décor are fully customizable, right down to the hardware. Everything we sell is made to order, meaning that we don’t even build a single piece of furniture until it has been ordered. We have a wide range of custom paint options, including FoxDen Turquoise, Fiesta Red, and Gringo Green. Not a fan of such bold choices? No problem! We also carry an array of stains, such as Avery Gray Wash or simply Medium Wax. If you are interested in discussing your options with a member of our professional design team, contact us today by emailing us at [email protected], or call us at 1-888-666-1113. We would love to hear from you, whether you are a brand new customer, or if you’ve been returning to us for years. At any point during the process, we would love to help you out. We’ll be just as excited as you are when it comes to furnishing your bedroom with those rustic touches that you’ve been dreaming of! When it comes to functional, fashionable bathrooms, nothing better encapsulates both like cus-tom bathroom vanities. Made from scratch, by hand, and to your exact specifications, a custom vanity can be the functional and fashionable choice for your home, all for much less than you may expect. The best custom bathroom vanities keep you in control of every aspect, from the size to the lit-tle aesthetic embellishments. Here are just a few aspects of your custom vanity that you can control when you decide to skip the pre-made products and go custom. The first thing anyone will notice about custom bathroom vanities is that they look completely different from your average vanity, and nothing says that more immediately than the color. Your custom vanity can be stained and painted in any number of colors to suit your decor needs. That includes subtle stains that show off the reclaimed wood and bold paint colors that make the vanity stand out. Probably one of the most appealing aspects of custom bathroom vanities is the size, especially for people whose homes are a little different from the standard. Unconventional floor plans and bathrooms call for unconventional vanities, which is why you should be in control of your vani-ty’s size. Everything from a small 24” vanity to massive 80” vanities are available, all so they can fit perfectly into your bathroom, and your decor choices. While vanities need to look good, they also need to fit in with your lifestyle, which is why the best custom bathroom vanities offer a choice in sinks along with everything else. Options in-clude a single sink for smaller bathrooms, a double sink for couples who need to get ready in the morning, and stylish apron sinks for an extra flourish. Thinking about the function of your vanity is important when looking at custom bathroom vani-ties, so when you are selecting aspects like color, size, and budget, consider also how you intend to use the piece. Custom bathroom vanities don’t just put you in control of the size and price; they also let you design the little flourishes that truly make it your own. At Fox Den Decor, the many options for decor accents on the vanities include everything from metal banding to oxidized paneling. As a result, the piece looks exactly how you want and includes little embellishments to help it fit in with your style. 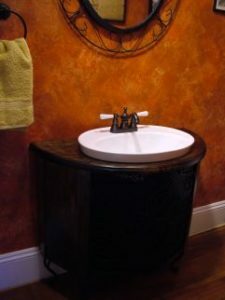 The ornate forged iron accents, for example, give the vanity an even more rus-tic appeal, which is perfect for cabins, cottages, and decor styles that make you feel like you are on a country estate. If you need a unique, beautiful piece that fits perfectly into your home and decor choices, look no further than custom bathroom vanities from Fox Den Décor ( https://foxdendecor.com/ ). Made with reclaimed wood and built by hand by talented artisans, these custom pieces perfect-ly combine function and fashion. And with you in control of almost every aspect, you are sure to have a piece that is entirely unique. Nothing creates a warmer or more welcoming atmosphere in a living room than beautiful, hand-crafted rustic sofa tables. Made by highly skilled artisans, all our rustic sofa tables are custom-made and manufactured to the highest standards of beauty, quality, and craftsmanship. Your home is your sanctuary; it should reflect your unique décor vision. When you decorate your living room with rustic sofa tables, you’ll automatically add a touch of rustic charm and beauty to your home. 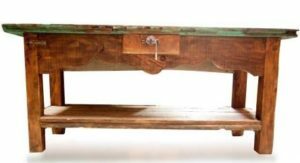 Because every piece of furniture we make can be tailored to meet your exact needs and specifications, when you order a rustic sofa table, you’ll be sure to get exactly what you want – an original and one-of-a-kind piece of quality furniture. Rustic furniture ( https://en.wikipedia.org/wiki/Rustic_furniture ) has gained in popularity over the last few years. Everywhere you look – whether it’s at a charming restaurant or in the glossy pages of a home décor magazine – you can see that rustic furniture has become a “must-have” for home and commercial environments. But rustic furniture isn’t just a trend; it’s a trend that’s built to last. Rustic sofa tables are strong and durable, meaning that they will last you a lifetime. Plus, because a lot of rustic furniture is made from reclaimed wood, each piece is 100% unique. If you’re redecorating your living room, why not decorate with rustic sofa tables? Their perfect blend of form and functionality will not only withstand everyday use, but will also make a statement in your home. Whether your living room is big or small, you can order one or more of our stunning rustic sofa tables to fit any size specifications. Our tables also feature a variety of styles, ranging from tables made from reclaimed wood (including old Mexican doors), to painted or raw wood, cedar, etc. Whatever your design vision, we can make it happen! There’s the perfect rustic sofa for everyone.